Sometimes 2015 Single This thread currently has 20,415 views. Here's the link to the new version of Sometimes,it brought a tear to my eye,it's stunning,very subtle but stunning. It's like it's recorded in 2015 it's very now but it's still the classic 1986 single. 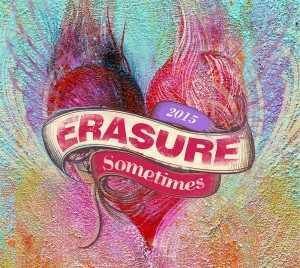 Sometimes 2015 is released on 23rd October 2015. With any luck, this release is going to be something along the lines of 'POP Remixed', 'Storm Chaser' or the 'Rain' EP and be chock-a-block with new mixes and other gubbins. Wow. That is indeed... subtle. Very similar, in the degree of change, to that between Always (1994 original) and Always 2009, i.e. i was expecting a little bit more sorry here's hoping there's a some good new mixes! it's beginning to sound a lot like erasure! I agree : a wasted opportunity of modernizing this massive hit. EIS might think about releasing another new mix for us to hear, generate some better excitement! Add a few more signature Vince bleeps and bloops and it'd be great!! For sure that what it needs, especially now that he has his Brooklyn studio up and running. Dave Aude! he should've remixed the new reboot!! Let's hope the tracks on the single are more interesting! Let hope this makes the CD single worth putting out.